The tranquility of the region was disturbed in 1859 when the Buffalo Bayou, Brazos and Colorado Railroad laid tracks through this corner of Wharton County. But settlement didn’t occur until the mid-to-late 1870s. A post office opened in 1878 and the community was first known as New Philadelphia. An economic depression in Great Britain (beginning) in 1876 sent over two million immigrants to the New World, most of them unemployed miners from Wales. The Workmen's Emigration Society was formed in 1878 to help relocate families to Texas. The description of life in Texas was hard to ignore. Enticing ads were placed in English newspapers . Ready-made farms of 80-100 acres with plowed gardens and everything from livestock to saddles was furnished from 320 pounds. This included fencing and a four room house complete with utensils, a stove and cistern. The only problem was coming up with 320 pounds. The influx of familes liked the arrangement, but promises by the immigrant society (especially credit to tide the families over the winter) were broken and the plan fell apart. Within ten years only a handful of diehard farmers remained. Disputes arose between open-range ranchers and the farmers and New Phildelphia suffered a fire which may have been set by warring factions. By 1891 the post office had closed. In the waning days of the 19th Century another attempt was made to lure new blood into the area. The Southern Texas Colonization Company and the Fidelity Emigration Company of Kansas City, purchased the entire prairie around Eagle Lake to Lissie and over to Chesterfield. In included some 60,000 acres of land. This time families in the northern U.S. were the target of inflated descriptions of the region. For investors buying 160 acres or more, the rail fare for the families was paid. The fact that the new immigrants were experienced farmers led to happier endings than the Welsh minors experienced. But the unfamiliar soil and crops proved challenging. In was the introduction of Rice that saved the region. A water-pumping plant on Eagle Lake opened in 1899 and a canal was dug to Lissie. Later, canals extended from the Colorado River. The Lissie Prairie rivaled the rice production of Jefferson County’s Beaumont prairie . The two counties (Wharton and Colorado) continue to lead the state in rice cultivation. 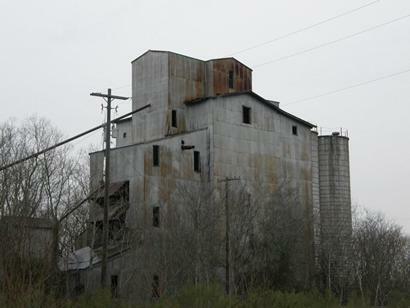 Today, a cluster of homes sits in the shadow of an unused grain elevator – Lissie’s most prominent landmark.